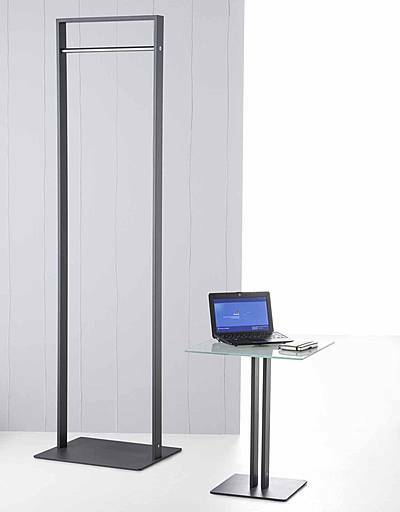 Together with an internationally awarded design company we have enlarged our product range. 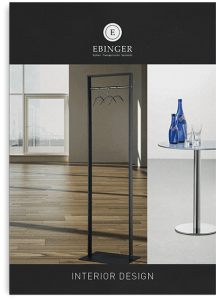 Ebinger now offers a complete range of service trolleys in styles varying from classic to elegant or contemporary, including the latest trend designs. We have everything you need to further enhance your level of service, and thus improve customer satisfaction in your line of business. (RAL 9005). Shelfe frame in stained and varnished wood. and of the INTERNORGA 2018. 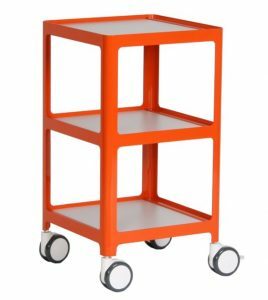 These are the new trolleys of Carl F. Ebinger – The Trolleymaker. 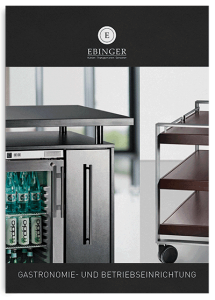 Basic unit pre-configured to be linked with the Ebinger Combi-Buffet. 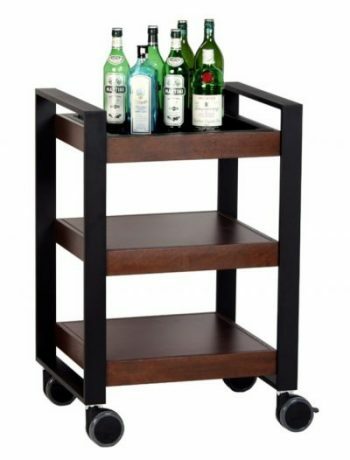 Equipped with 2 doors and a shelf which is adjustable in 32 mm increments. Installation of a plate stacker is optional. 1 plate – 2 functions. New ground was broken developing this high-performance plate. 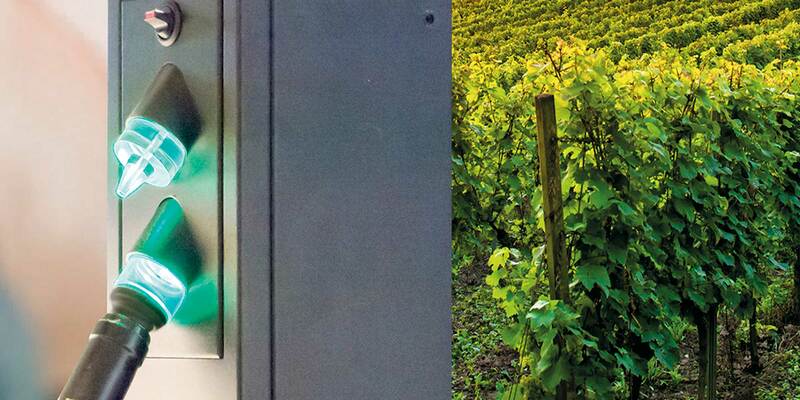 Two separate systems – hot and cold – are combined into one unit and operated by one control system. 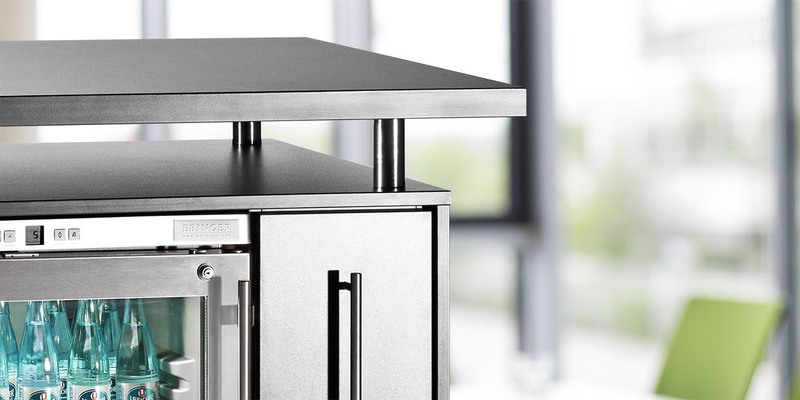 This means that the one plate has a temperature range from -5 °C to +140 °C. 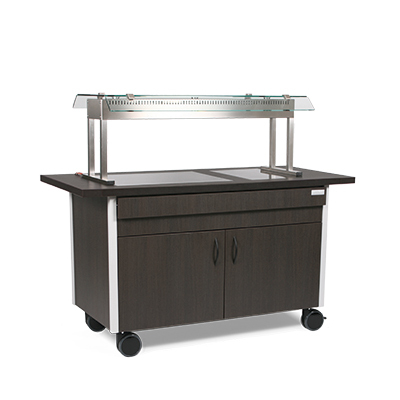 Your buffet will be more flexible than ever before. 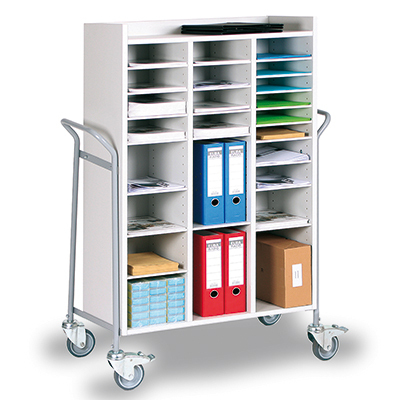 Render your mail sorting system more efficient by having mail sorted intelligently and methodically. 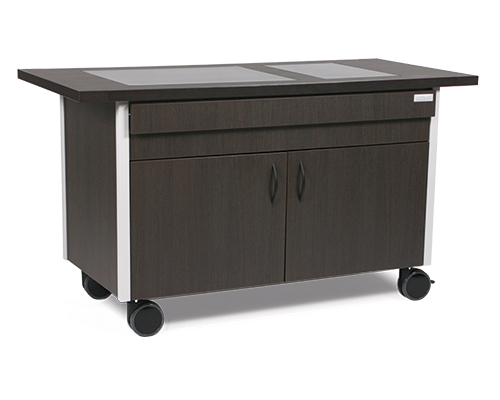 We offer expertly developed solutions for all your office needs to improve daily work flow. 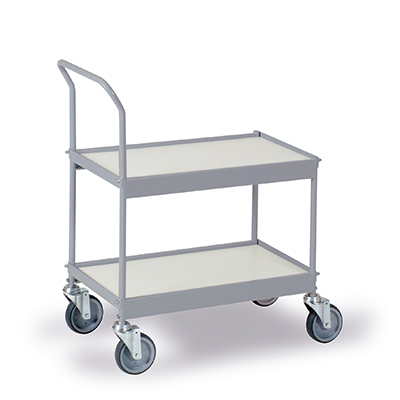 Extremely robust trolleys for any conceivable use guarantee efficient and state-of-the-art logistics. We offer the perfect solution for all transport needs – in your workshop or elsewhere. Our slogan: “Designed to suit the way you work”. In order to provide our customers with the perfect product for their specific needs we continually test, reassess and improve our products. 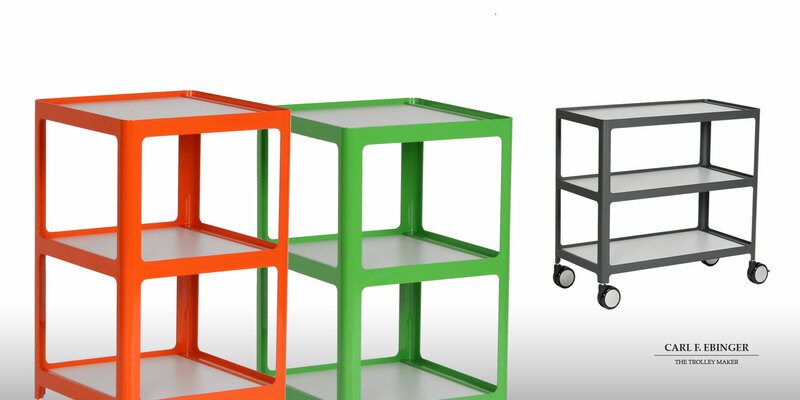 SCustom-made product according to the requirements of a machine manufacturer. 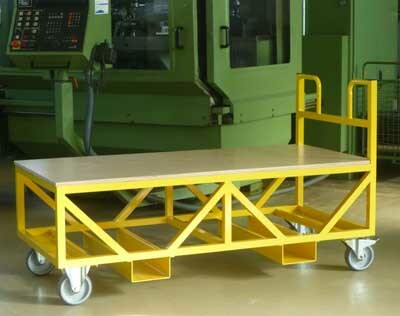 Trolley for the transportation of front axles in an assembly line. 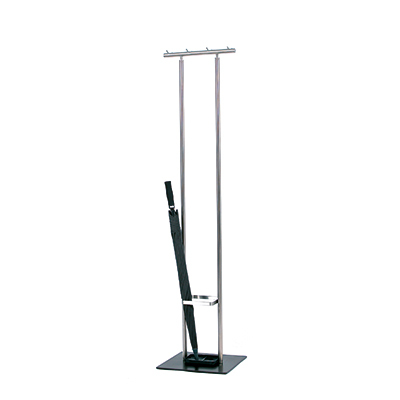 Frame made of powder-coated steel, silver-grey (similar to RAL 7001). Laminated chipboard light grey (similar to RAL 7035). 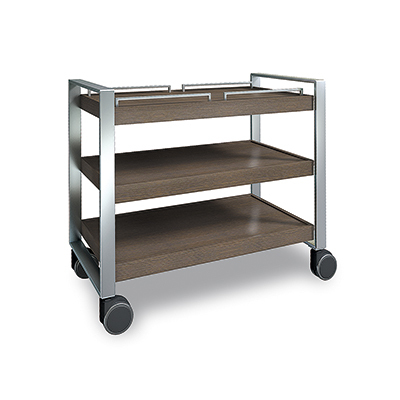 21 shelves are height adjustable in increments of 32 mm. 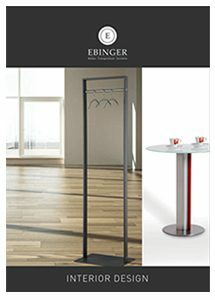 Ebinger products are characterised by elegant simplicity and durable materials. 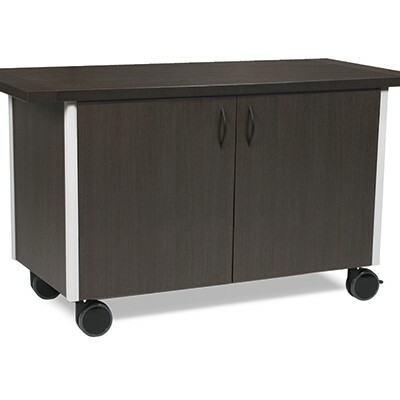 A wide range of glass tables and lounge tables are available. 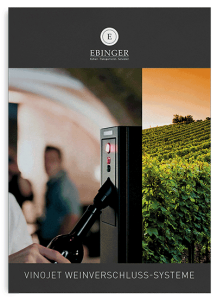 with our new catalogue at the trade fairs INTERGASTRA and INTERNORGA. 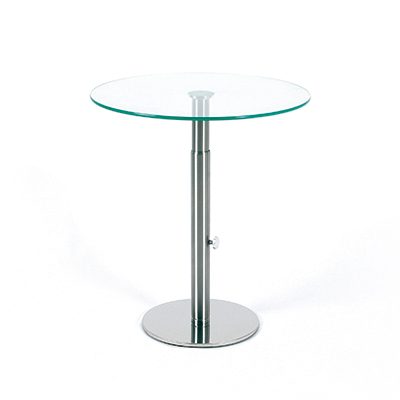 Glass table vertically adjustable with ESG safety glass round; diameter 495 mm; glass: clear or satin; visible parts: stainless steel. 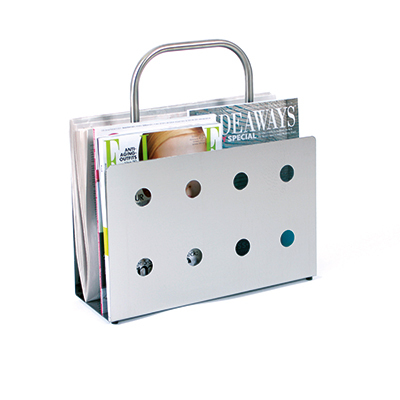 With umbrella stand and 1 rail for coathangers and 8 hooks.